Pro-Vice-Chancellor and Executive Dean / Professor of Education. The field in which my distinctive achievement has been framed is the history of education, and more specifically the history of the development of the teaching profession. My 2003 monograph was prefaced by Professor Brian Simon, widely regarded as the leading historian of education in the UK at that time. He wrote, ‘…It is not always that one can give a new book by a young author the whole-hearted and enthusiastic support that Wendy Robinson’s study certainly deserves. She has successfully excavated, and so brought into view, the whole ‘lost’ system of pupil-teacher centres. Educationists, and indeed all interested in the field, owe her a debt of gratitude for the meticulous study of a ‘lost’ movement, which has many lessons for us today.’ My 2004 monograph was reviewed in the national press by Professor Ted Wragg, who claimed that, ‘…Wendy Robinson's exploration of the notion of "power to teach" attempts to address this kind of question in historical and contemporary contexts. It is a challenging assignment and she makes an impressive attempt at illuminating and clarifying what has often been a diffuse concept. The book contains a substantial account of the history of teacher training, with particular reference to practice in the late 19th and early 20th centuries. Anyone wanting a thorough and well researched account of the period would be hard-pressed to better this one.’ The 2010 research monograph was considered ground-breaking in its attempt to capture empirically through case studies the key professional values and practices of the eight schools in England judged by inspectors to be the most effective providers of education of the gifted. Its almost immediate translation into Arabic illustrates its perceived significance for Middle East states developing their own schooling systems. My forthcoming 2014 research monograph uncovers a hidden history of the professional development of serving teachers, drawing on hitherto unpublished archive material and oral history testimony. I have published papers in journals with some of the highest impact citations in education (The Oxford Review of Education, School Effectiveness and School Improvement, Paedagogica Historica and History of Education) and the 2004 paper in The Oxford Review of Education was the fourth most downloaded paper in that year’s issues. I have attracted several competitive research grants for my research into the history of teacher professional development including the prestigious British Academy Research Development Award, 2010-2011 (with a 10% national success rate) and the Higher Education Academy Award (2012-15) (One of 15 successful awards out of 117 applications nationally). Robinson W (2017). Teacher Education over Time. In Clandinin J, Husu J (Eds.) The SAGE Handbook of Research on Teacher Education, SAGE. Robinson W (2016). Educational Knowledge and Teacher Education in England and Wales: the development of practical experimental pedagogy 1900-1920. In Horlacher R, Hoffman-Ocon A (Eds.) Educational Knowledge in Teacher Education, Germany: Klinkhardt Press. Robinson W (2016). The English Teachers' Centre and its Influence on the Wider International Professional Development of Teachers 1960-1995: Past Perspectives and Current Possibilities?. In (Ed) Professional Development: Recent Advances and Future Directions, New York: Nova Science Publishers. Robinson W (2014). A Learning Professions? Teachers and their Professional Development in England and Wales 1920-2000. Rotterdam and New York, SENSE. Robinson W (2011). 'That Great Educational Experiment' the City of London Vacation Course in Education 1922-1938: a Forgotten Story in the History of Teacher Professional Development. History of Education, 40(5), 557-575. Each summer between 1922 and 1938, up to 500 elementary school teachers from across Britain and some from overseas, joined together in London for a two-week residential vacation course. Organised by Evans’ Publishers and patronised by leading educationists, politicians and policy-makers, the City of London Vacation Course came to be regarded as an important annual educational institution and a cutting-edge exemplar of teacher professional development. In spite of this apparent fame, it appears to have been entirely overlooked in the history of teacher education. This paper seeks to recover the lost story of the City of London Vacation Course and documents its educational and professional focus and its social and cultural function. Locating it within a wider educational, economic and political climate, the paper also examines how the City of London Vacation Course somehow captured and embodied the promise of an emergent new professionalism for elementary teachers during that period. Robinson W (2014). A learning profession? : Teachers and their professional development in England and Wales 1920-2000. Robinson W, Campbell J (2010). Effective Teaching in Gifted Education: Using a Whole School Approach. London, Routledge. WRobinson, Campbell RJ, Kyriakides L, Muits D (2004). Assessing Teacher Effectiveness: Developing a Differentiated Model., Routledge Falmer. WRobinson (2004). Power to Teach: Learning Through Practice., Routledge. WRobinson (2003). Pupil Teachers and their Professional Training in Pupil-Teacher Centres in England and Wales, 1870 - 1914., Edwin Mellen Press. Robinson W (In Press). 'The Struggle for the History of Education'. History of Education, 41(5), 702-707. Robinson W, Bryce M (2013). "Willing enthusiasts" or "Lame Ducks"? Issues in teacher professional development policy in England and Wales 1910-1975. Paedagogica Historica, 49(3), 345-360. Though there is a well-established body of research in the field of teacher professional development, it is characterised by a real dearth of any detailed historical analysis. This paper seeks to address this gap, by offering a new historical analysis of a case study of the evolution of organised teacher professional development in England and Wales during the twentieth century. Its approach is hoped to open up the wider debate and to contribute to a fuller understanding of the basis for those questions and dilemmas about teacher professional development that have long exercised teachers, professional educators and policy-makers - questions which turn on fundamental issues of priorities and purpose, funding, scale of teacher engagement, control and reach. The paper is in three main parts. Firstly, the scope of the case study is outlined with key stages in the evolution of teacher professional development in England and Wales identified. Secondly, four themes from the data which characterised this evolution are discussed. These include the restricted engagement of teachers relative to the whole teacher population; limited funding; the highly centralised control over provision for teacher professional development through Her Majesty's Inspectorate (HMI); and a highly selective and restrictive access to provision by teachers. It is argued that these key characteristics helped to shape a particular culture and ideology of teacher professional development which was dependent on a select cadre of elite teachers for the dissemination and modelling of what was regarded as good practice, so as to improve their colleagues' performance - the elite excelled while the majority needed to be saved from mediocrity. The particular ideology underlying this model is conceptualised as one of 'excellence and salvation'. Finally, it is argued that the key issues identified in this story (the restricted engagement of teachers; limited funding; highly centralised control; and ideologies of excellence) raise important generic questions for the field of teacher professional development more widely as well as framing future historical analysis of teacher professional development. © 2012 Stichting Paedagogica Historica. 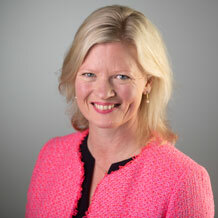 Robinson W (2013). Capturing the 'Willing Enthusiasts' and 'Lame Ducks': Central government and the history of teacher professional development in England and Wales 1920-1975. Paedagogica Historica: international journal of the history of education, 49(3), 345-360. Robinson W (2012). Curriculum and the teachers: 35 years of the Cambridge Journal of Education. HISTORY OF EDUCATION, 41(3), 431-433. Author URL. Robinson W (2010). Revisiting Teacher Professional Development: Past and Present Models 1920-2008. History of Education Researcher, 28-33. Campbell, R.J. Neelands, J. (2007). Personalised Learning: Ambiguities in theory and practice. British Journal of Educational Studies, 55(2), 135-154. Robinson W, Campbell RJ, Eyre D, Muijs RD, Neelands J (2007). The English Model: policy, context and challenges. Gifted and Talented International, 22(11), 47-54. WRobinson, Campbell RJ, Eyre D, Muijis RD (2007). The social origins of gifted and talented students in England: a geo-demographic analysis. Oxford Review of Education, 33(1), 103-120. Campbell, R.J. Muijs, R.D. Kyriakides, L. (2005). The Evidence for Differentiated Teacher Effectivess: a review. School Effectiveness and School Improvement, 16(1), 51-70. Campbell, R.J. Kyriakides, L. Muijs, R.D. (2004). Teacher Effectiveness and values:toward a model for research and appriasal. Oxford Review of Education, 30(4), 451-466. Robison, W. (2003). Frocks, frills, feminininity and representation of the woman teacher in the Woman Teacher's World. Journal of Educational Administration and History, 74(2), 87-99. Campbell, R. J, Muijs, R.D. Kyriakides, L. (2003). Teacher Appraisal:the case for differentiation. Education 3-13, 28(3), 3-10. Robinson W (2002). Historiographical reflections on the 1902 Education Act. Oxford Review of Education, 28(2), 159-172. Robinson W (2010). Documentary Research. In Hartas D (Ed) Educational Research and Inquiry, London: Continuum, 186-198. Robinson W, Campbell RJ (2010). Evaluating Teacher Quality and Practice. In Baker E, McGaw B, Peterson P (Eds.) International Encylopeadia of Education, Elsevier, 674-680. Robinson W, Campbell RJ (2010). School Values and Pedagogical Practice: Case Studies of Leading-Edge Schools in England. In Toomey, R, Lovat, T (Eds.) International Handbook of Values Education and Student Wellbeing, Dortrecht: Springer Press, 75-90. R. J. Campbell (2009). School Values and Pedgaogical Practice: Case Studies of Leading Edge Schools in England. In Toomey R, Lovatt T (Eds.) International Handbook of Values Education and Student Wellbeing, Dortrecht: Springer. Robinson W, Campbell RJ, Eyre D, Muijs RD, Neelands J (2009). The English model: policy, context and challenges. In Eyre D (Ed) Gifted and Talented Education, London: Routledge. Robinson, W. (2008). The Case in England and Wales. In O'Donoghue T, Whitehead C (Eds.) Teacher Education in the English-Speaking World: Past. Present and Future, Charlotte, NC, USA: , 45-60. Robinson, W. (2007). 'The policy and politics of gifted education in England: past and present perspectives. In Crook D, McCulloch G (Eds.) History, Policy and Policy Making, London:. Robinson, W. (2004). entry on Philip Boswood Ballard. Robison, W. (2004). entry on Sarah Bannister.